The mission of CTP is to provide the most up-to-date scientific information and skill building tools, such as trainings, to key professionals (i.e. : local officials, land managers, natural resource managers, community planners, and coastal business owners) responsible for making decisions about coastal resources. In addition to the resources and projects below, be sure to visit NOAA’s Digital Coast. This resource provides self-guided online training, training the GTM Research Reserve can host, as well as resources such as handouts, case studies, publications, videos, quick references, and more! May 23, 2019 from 12:30-4:30 p.m.
Help monitor heritage at risk! Join us for a hands-on workshop series in artifact identification and site monitoring skills, including Arches database tutorial. Please reserve your seat at one or all workshops by contacting Emily Jane Murray by email or by phone at (904) 382-7874. May 24, 2019 at 10:30 a.m.
GTM Research Reserve has partnered with St. Johns County Parks & Rec to present Not In Your Backyard, a free lecture about invasive plant species in NorthEast Florida. Seating is first-come, first served. For more information, please contact Kelly Ussia by email or by phone at (904)-209-0335. Keep up-to-date with the Coastal Training Program at the GTM Research Reserve through our quarterly newsletters. Newsletters will feature ongoing projects, previous and upcoming events, a cool tool corner, and a partner spotlight. To subscribe to Coastal Connect, please email Kaitlyn.Dietz@floridadep.gov. The GTM Research Reserve hosts a "State of the Reserve" symposium annually. The symposium provides an opportunity to Reserve staff, Reserve volunteers, visiting investigators, and partners to share their progress and results of their research within the GTM Research Reserve boundaries. Each year a theme guides the project presentations. This year's theme was "Celebrating 20 Years!" View photos of our 2019 State of the Reserve here! 2018: "The Art of Science in Our Community"
2013: "Preserving Public Lands to Sustain Healthy Communities"
2010: "Celebrating the 10th Anniversary of the Reserve"
The coastline is constantly changing- it is dynamic. As humans, we rely on our coastlines for a comfortable climate, seafood, transportation of us, goods, and services, recreation, and our communities. To better protect those resources, it is important to understand the coastal processes of northeast Florida and the Atlantic coastline. Learn more about basic coastal processes and how anthropogenic actions impact the natural coastal processes. "Coastal resilience means building the ability of a community to "bounce back" after hazardous events such as hurricanes, coastal storms, and flooding – rather than simply reacting to impacts," NOAA, 2015. With so many resources available, use this Web Tools Comparison Matrix. This matrix was created to provide the planning and coastal management communities with an expandable chart to compare the functions and methods of publicly available sea level rise and coastal flood web tools. Living shorelines use plants or other nature elements such as oyster reefs to stabilize the shorelines of estuarine coasts. Living shorelines can help improve water quality, provide habitat for fisheries, increase biodiversity, and allow for increased recreation. Living shorelines are more resilient to storms than traditional hard armoring. Hard armoring such as bulkheads or seawalls can prevent the natural marsh migration and could accelerate or create coastal erosion. The marshes and oyster reefs of natural and living shorelines serve as natural barriers to waves, storm surge, and coastal erosion. Approximately 15% of marsh can absorb 50% of an incoming wave energy. Whether you are a homeowner, coastal engineer, or restoration practitioner, visit the Living Shorelines Academy to see current projects, resources, and even training modules. Also, be sure to watch "Living Shorelines: A Habitat Friendly Alternative for Shoreline Stabilization" a video made by the North Carolina NERR Coastal Training Program. Looking for scientific journals and articles on living shorelines? Visit NOAA's Green Infrastructure Effectiveness Database and search for "living shorelines". An invasive plant is an introduced species of plant that usually comes from another place (state, country, continent, ocean; not all non-native species are considered invasive) and aggressively expands, becoming a problem in its new location by impacting human health, the economy, and/ or the environment. Invasive plants can spread in numerous ways including seeds in nursery plants and soils, misidentification, foreign ships entering ports, fruits and flowers brought home by travelers, or landscaping, boat trailers, propellers, etc. not properly cleaned before or after transportation. The GTM Research Reserve’s CTP Coordinator serves as co-chair for the First Coast Invasives Working Group, coordinating on regional invasive species issues. GTM Research Reserve staff can provide workshops on invasive plants and native alternatives for landscaping to interested groups including HOAs, landscape companies, and citizen organizations. Please contact the CTP Coordinator if you would like them to provide a workshop for your group. CTP also provides technical assistance to landowners on the identification and removal of invasive species. If you believe that you have an invasive plant species on your property and would like assistance with proper identification, removal, and control steps, contact the CTP Coordinator to schedule a site assessment. Low-Impact Development is an innovative stormwater management approach with a basic principle that the land will mimic the natural water flow of the watershed. These stormwater management approaches are essential especially in communities where urban development has altered the natural water flow. Stormwater runs off of rooftops, driveways, lawns, parking lots, and other surfaces into stormwater drains, bringing pollutants, nutrients, and bacteria into coastal waters. 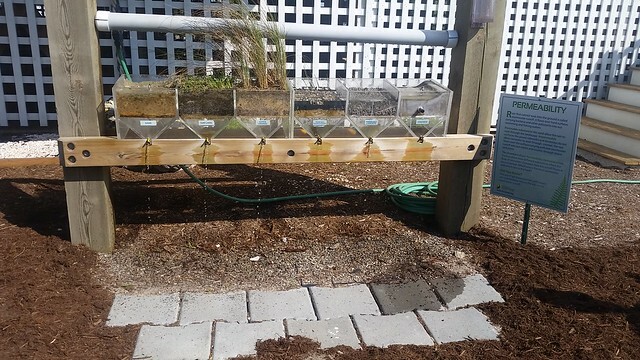 By utilizing low-impact development techniques, stormwater runoff can be significantly reduced, which reduces the amount of pollutants within our coastal waters. The Coastal Training Program offers workshops and training materials for city planners, developers, engineers, and stormwater managers. Additional technical resources include the Watershed EZ Tool and the Runoff Reduction Scenario Tool that are used to quantify the stormwater volume reduction goals of a watershed. If you would like to request a workshop, please contact the CTP Coordinator. This program is built upon a partnership between the University of Florida Institute of Food and Agricultural Sciences (UF-IFAS), the Florida Department of Environmental Protection (FDEP) and the Florida Department of Agriculture and Consumer Services (FDACS), and industry professionals. This is an intensive effort to train all landscaping professionals on best management practices for the application of fertilizers in urban areas. The goal of this program is to improve water quality by addressing this leading cause of non-point source pollution in a pro-active way. For more information and a list of certified professionals, please visit this website. Read more in the "Literature Review of the Pellicer Watershed Economic Valuation and Assessment Study" by the Center for Economic Forecasting and Analysis at Florida State University. Interested in accessing our water quality, meteorological, and nutrient data? The System-Wide Monitoring Program (SWMP) tracks short-term variability and long-term changes in estuarine waters and climate to understand how human activities and natural events can change ecosystems. This provides valuable long-term data on water quality and weather at frequent time intervals. The raw data is housed on the Centralized Data Management Office (CDMO) website and there are many accessible resources to view trends, summaries, and comparisons of that data. Depending on the level of detail and data manipulation, below are three handouts that explain what SWMP data the GTM Research Reserve collects and how you can access and interpret it. Learn more about the SWMP at the GTM Research Reserve. "The average person uses 1.6 straws per day. If 25,000 people skip the straw we could save 5,000,000 straws—and prevent a lot of them from entering the ocean and possibly harming wildlife," Ocean Conservancy. With over 500 million straws being used in the United States each day, it is important to look into other options (EcoCycle). We invite you to join us in requesting and sharing alternative options for straws! Download and print our Restaurant Card (print double-sided) and cut between the images. When you are dining out, be sure to leave one of these cards with your bill. We hope that our local businesses will see the interests and concerns of the community and look into alternative options such as paper or metal straws (maybe even no straws). Forgot to print your cards? When your drink order is taken, ask to "Skip the Straw". If you like your straws, look into reusable straws that you can carry with you. Only provide straws when a customer requests one. This may be a hard habit to break, but if you have a visual on customer tables, staff could easily remember. You can include a table topper or a line in your menu about why straws are only available upon request. There are many resources of table toppers including the Project Azule Verde, The Last Plastic Straw, plasticaware.org, Be Straw Free, and many more! For your customers that would like a straw, provide either compostable or reusable straws. There are many options out there- get creative! Several restaurants have "straw deposits" to ensure they receive their stainless steel straws back at the end of a meal or drink. If you are serving coffee, try using fettuccine noodles as stirrers. We do- it is a great conversation starter! Or simply stop serving straws with beverages... sometimes we open those plastic straws out of habit. The customer may not even notice they are not initially given one. Go even further and eliminate the use of plastic utensils. There are many options of wooden, bamboo, or recycled plastics! If your restaurant or business serves about 300 drinks per day, you could eliminate about 60 pounds of plastic and save $725 per year by skipping the straws (Project Azule Verde)! Interested in reducing the single-use plastics in your restaurant or business? Visit Project Azule Verde. Project Azul Verde will customize an image, including calculating the figures and adding your business name and logo. You can print it for a table display or coaster, or use it on social media. You can even become a "Plastic Straw Free Business Leader", visit The Last Plastic Straw to learn how! Learn more about single-use plastics, such as plastic straws, that can break down into microplastics at www.plasticaware.org. With the University of Florida’s College of Design, Construction and Planning, the GTM Research Reserve completed a project planning for sea level rise within coastal communities. The project was funded by the National Estuarine Research Reserve Science Collaborative grant and resulted in a 304-page findings document including appendices of the methods, strategies, and GIS data. Watch the project video. Information and additional findings can be found at www.planningmatanzas.org. This Florida Fish and Wildlife Conservation Commission (FWC) initiative developed regional working groups to address coastal wildlife conservation issues. It is important to understand the impacts to wildlife that driving on the beach has. The GTM Research Reserve has developed an online Beach Driving Awareness Course that is being used by local municipalities to train staff in safe beach driving and lessen environmental impacts. Visit CWCI for information. Partnering with the Florida Public Archaeology Network (FPAN), Heritage Monitoring Scouts is a public engagement program focused on tracking changes to archaeological sites at risk, particularly those impacted by climate change in the form of erosion and sea level rise. Help monitor the thousands of resources within Florida and over 50 within the GTM Research Reserve boundaries. Become a Heritage Monitoring Scout, today!